We are proud to have been featured in many newspaper and magazine articles as one of the top realtors in Manhattan Beach and the South Bay. Keith was featured as the agent of the month in the December 2014 edition of Executive Agent magazine. Executive Agent features and spotlights the top agents and realtors in the South Bay and Palos Verdes areas. 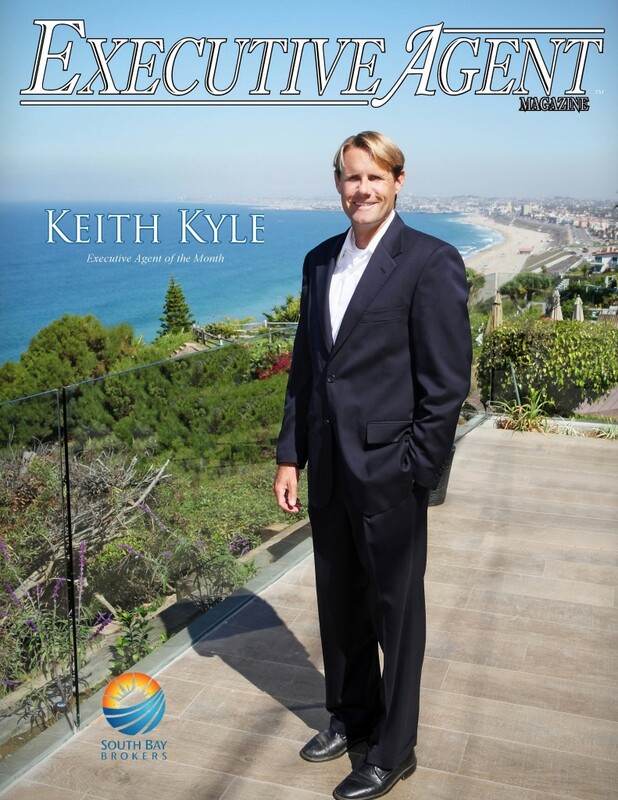 Click the photo or visit the link to the article in Executive Agent magazing featuring Keith. Cities and the South Bay. 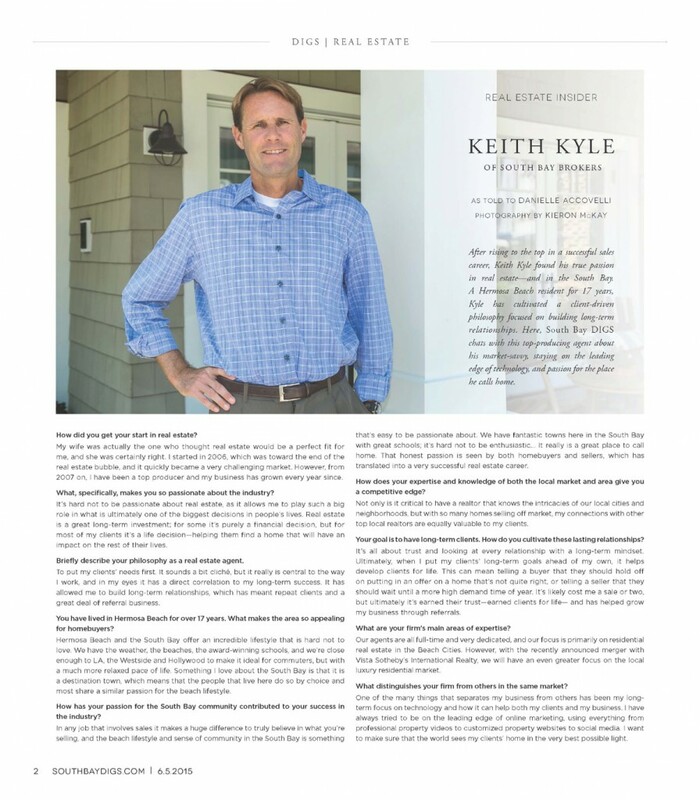 The agent spotlight focused on what made Keith a successful realtor in a very competitive market and discussed how the merger of South Bay Brokers and Vista Sotheby’s International changed the landscape of real estate in this high end coastal community. 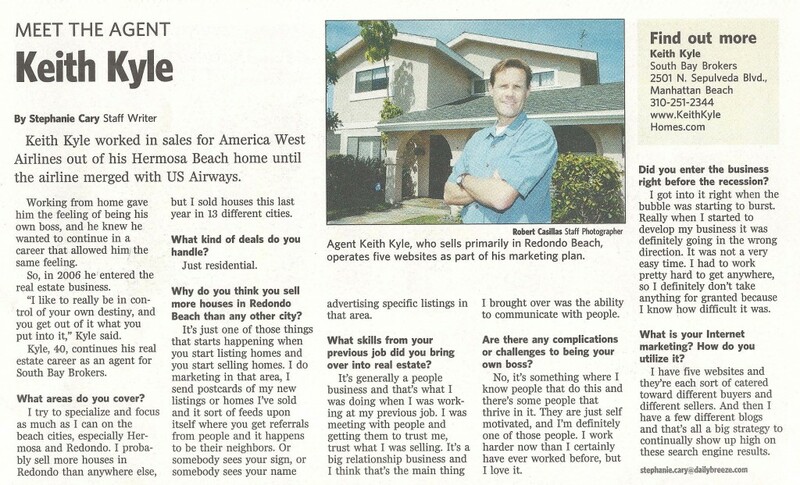 Keith was also featured in the Daily Breeze, the local newspaper geared towards residents of Manhattan Beach, Hermosa, Redondo and Torrance.